The design of the Leon cookery books isn’t for everyone; I’ve seen some comments from those who don’t take to the look of the books at all. But I love the vibrant, light-hearted, quirky, personal and fun-loving approach that is epitomised in the styling and flicking through any of the Leon books always makes me smile. Book 3, Leon: Baking & Puddings, full of sweet and baked treats, is more of a step away from what the restaurant is best known for. 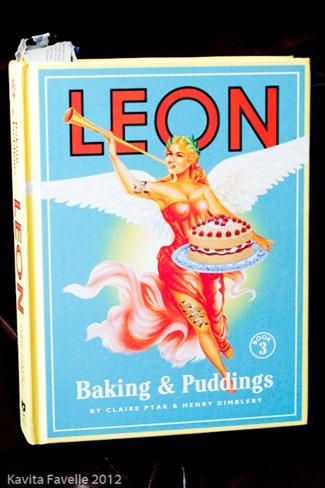 As is always the way with the Leon team, the book turns to friends and family members for inspiration and recipes. The one we chose to make was Petra’s Honey Bread, a recipe from Leon founder Henry Dimbleby’s mother-in-law. Described as a “tea bread”, it’s basically a loaf cake that is perfect for anytime snacking. I was really surprised by how the honey and lemon zest combined to create a flavour that was reminiscent of ginger bread, though we’d added no spices at all to the mix. Henry suggests serving the cake thinly sliced and buttered. We had it plain, which was excellent, and with thickly spread salted Isigny butter – heaven! We learned during and after making the recipe that there are two errors in it. The first is simply that one of the ingredients is not mentioned in the instructions, though we easily decided where to insert it. The second is that the volume of water should be 150 ml rather than the 250 ml stated. 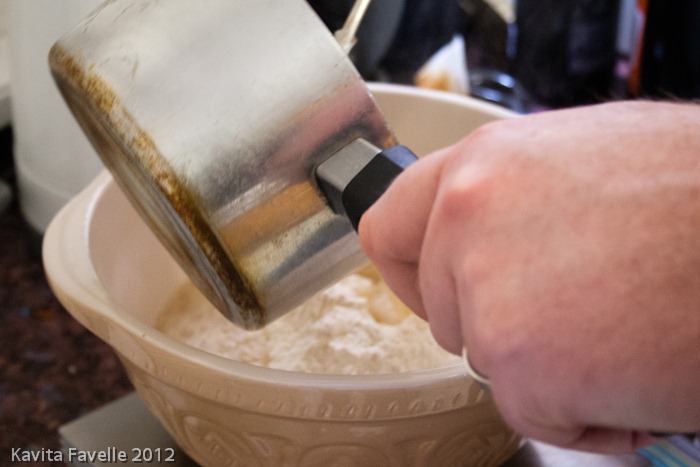 We used all 250 ml and, although the cake batter was quite a runny one, the cake came out very well. However a friend mentioned that she’s made the recipe three times without success, and this may well be why. 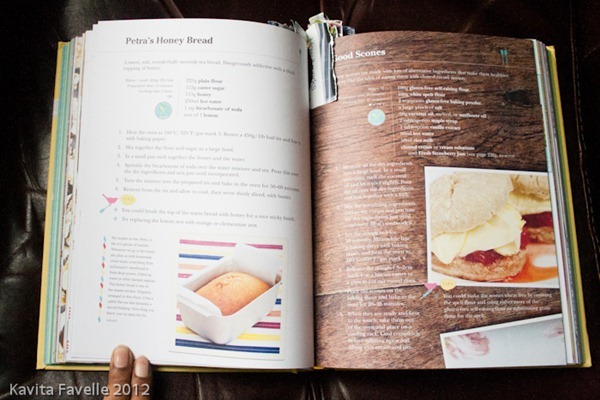 I was worried that our experience might suggest a lack of accuracy in other recipes in the book, but have been assured by the lovely Henry Dimbleby that, as far as they are aware, this recipe is the only one with mistakes in it. If you have discovered any others please let me know, and drop a note to the folks at Leon too. 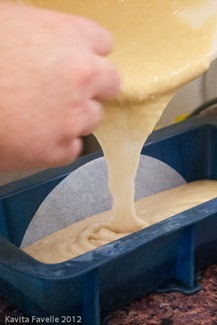 Butter a 450 gram/ 1 lb loaf tin and line with baking paper. Mix together the flour and sugar in a large bowl. 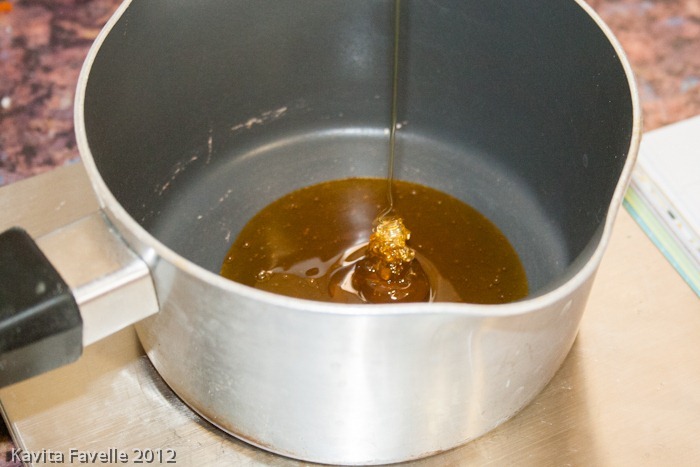 In a small pan melt together the honey and the water. Remove from the heat. 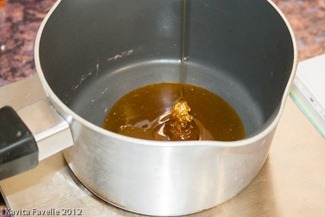 Add the lemon zest and bicarbonate of soda to the honey water mixture and stir. 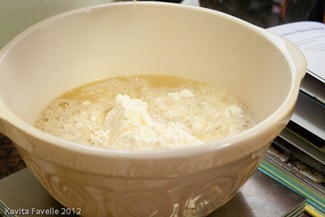 Pour the liquid over the dry ingredients and mix until incorporated. 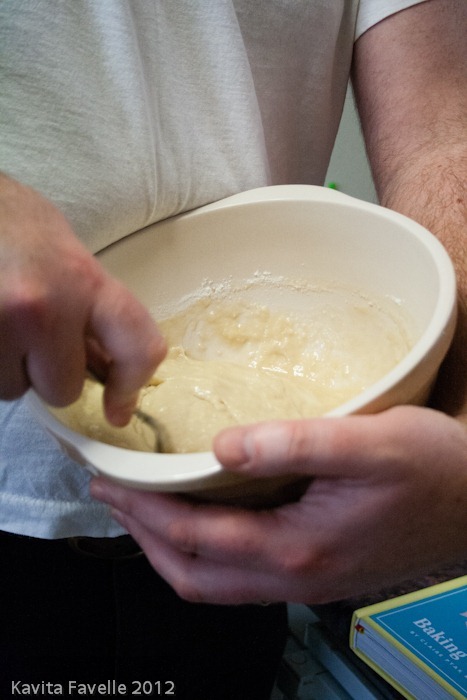 Turn the mixture into the prepared tin and bake in the oven for 50-60 minutes. This was an absolutely delicious recipe, and one we’ll make again. 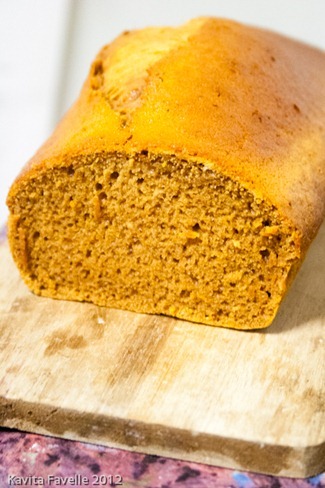 6 Comments to "Petra’s Honey Bread from Leon’s Baking & Puddings"
The crust on the bread looks so golden and yum! Only ever made honey cake before, never thought it as a bread version! Another one for my cookery book wishlist. I love Leon’s style and the books always make me smile. 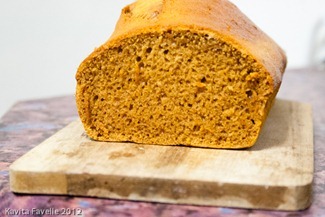 This bread looks amazing Kavey! 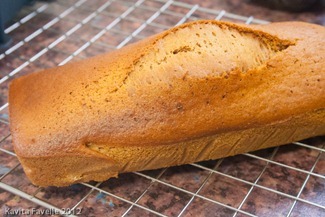 Looks to be a very tasty bread, I like the addition of the lemon. I have just taken this loaf out of the oven but used the original recipe- I got the lemon in there but put in the 250ml water and now have a gooey inside and tough crust. Not the greatest success but definitely delicious! I will try again as I promised colleagues a cake tomorrow morning! Thank you for the tip on the water!!! You’re welcome. It seems we were lucky that ours worked, despite the error. Hoping that information will allow you to correct and product a beautiful loaf!